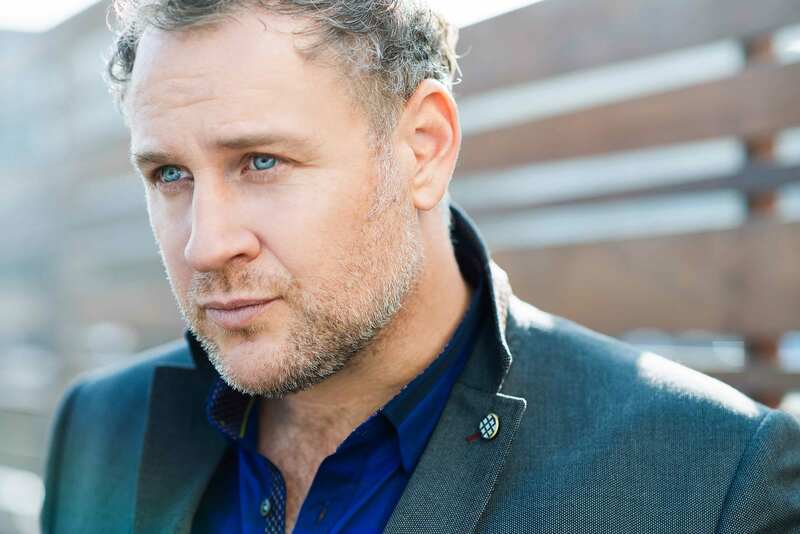 American baritone Lucas Meachem is an internationally sought-after performer whose compelling lyric baritone voice and dramatic interpretations have led him to the world’s most important operatic stages. Hailed by critics as “vocally faultless and a natural actor” (Classical Chicago Review) with “a clear baritone whose fragments can pierce the soul” (Forum Opera), and “a rockstar of opera” (Opera Pulse). Meachem has found both critical and commercial success at home and abroad. His latest award came at the 2016 Grammys where he took home a Grammy for Best Opera Recording as Figaro in Los Angeles Opera’s Production of The Ghosts of Versailles. Named the winner of San Francisco Opera’s inaugural “Emerging Star of the Year” Award in 2016, Meachem highlighted this previous season with a triumphant return to San Francisco in September as Dr. Malatesta in Laurent Pelly’s production of Donizetti’s comic masterpiece Don Pasquale. Meachem then returned to his frequent collaborators at Lyric Opera of Chicago for role debut as Chorèbe in Les Troyens under Principal Conductor Sir Andrew Davis, followed by his house and role debut as Sharpless in Madama Butterfly at the Dallas Opera. Following his American success he arrived in Germany at the Dresden Semperoper to reprise the role of Don Giovanni in a new production he helped create under the direction of Andreas Kriegenburg. Afterwards he sang the Baritone solo with conductor Emmanuel Villaume in one of his favorite works, Ein Deutches Requiem with the Prague Philharmonia. Meachem finished his season performing the role of Count Almaviva in Le nozze di Figaro with Teatros del Canal in several locations throughout Spain. Fresh off his Grammy win, Meachem will begin his 2017-2018 season returning to the Metropolitan Opera in one of his signature roles performing as Marcello in Franco Zeffirelli’s production of La Bohème. He has been hailed by critics in this iconic role as “never putting a foot wrong as he asserts his rich and powerful baritone,” (Music OMH) and continues to stun audiences with his interpretation of Puccini’s classic. After, he will debut with Houston Grand Opera in his most iconic role of Figaro in The Barber of Seville. Following his performances in NYC and Houston Meachem will tackle his 50th operative role as Athanaël in Thaïs with the Minnesota Opera. Meachem will return to the Dresden Semperoper to reprise the title role of Mozart’s Don Giovanni alongside Michael Eder and conductor Jonathan Darlington. Lucas will then finish out his season with a series of concerts in Salzburg, Monte Carlo, Montreal, Prague, and Napa Valley. Recent performances include Silvio at the Metropolitan Opera in I Pagliacci directed by Sir David McVicar, and the Los Angeles Opera as Corigliano’s Figaro in The Ghosts of Versailles. He made his Metropolitan Opera debut in 2008 in the role of General Rayevsky in Prokofiev’s War & Peace, and returned in 2011 as Mercutio in Roméo et Juliette. Performing often with the Lyric Opera of Chicago, he made his debut as Oreste in the new Robert Carson production of Gluck’s Iphigénie en Tauride opposite Susan Graham and Paul Groves, conducted by Louis Langrée. Since then he has returned to Chicago Lyric as Valentin in Faust; Demetrius in A Midsummer Night’s Dream; and Marcello in La bohème. A former Adler Fellow, he has appeared with San Francisco Opera as the title role in Eugene Onegin, Don Giovanni, and Il barbiere di Siviglia; Papageno in Die Zauberflöte; Count Almaviva in Le nozze di Figaro; and Fritz/Frank in Korngold’s Die tote Stadt under the baton of Donald Runnicles. Additional operatic performances in the United States include Il barbiere di Siviglia with Los Angeles Opera, San Diego Opera, and Opera Colorado; Don Giovanni with Santa Fe Opera, Cincinnati Opera and New Orleans Opera; La bohème with Lyric Opera of Kansas City; Opera Birmingham as Giorgio Germont in La Traviata, Faust with Minnesota Opera and New Orleans Opera; and Les Pêcheurs de Perles with Florida Grand Opera. A regular performer across Europe, Meachem has made recent debuts in the title role of Figaro in Il barbiere di Siviglia with the Vienna State Opera and Den Norske Opera in Oslo, Norway; Semperoper Dresden as the title role in Don Giovanni; Opéra National de Paris as the title role in Britten’s Billy Budd; Bayerische Staatsoper in Munich as Count Almaviva in Le nozze di Figaro; and with the Teatro Real de Madrid in the world premier of El Viaje a Simorgh by José María Sánchez-Verdúand. A favorite of audiences in London, Meachem has appeared with the Royal Opera House, Covent Garden as the title role in Il barbiere di Siviglia, Marcello in La bohème, and as Aeneas in Dido & Aeneas, which was released on DVD in 2009 on the Opus Arte label. Additional performances in Europe include Orestes in Iphigenie en Tauride and Fritz/Frank in Korngold’s Die tote Stadt with the Teatro Real de Madrid; Wolfram von Eschenbach in Tannhäuser and Count Almaviva in Le nozze di Figaro with Théâtre du Capitole de Toulouse; the title role in Eugene Onegin with Opéra national de Montpellier; and the title role in Don Giovanni with the Glyndebourne Festival. In 2013 Meachem toured in a concert version of Tchaikovsky’s Iolanta with performances in eleven of Europe’s most important musical centers and venues including Vienna, Munich, Paris, Berlin, and Amsterdam. Additional concert performances in Europe include the Fauré Requiem in Florence with the Maggio Musicale Fiorentino under the great maestro Seiji Ozawa, with whom he also performed Wolfram in Tannhäuser at the Saito Kinen Festival in Tokyo; Carmina Burana in Rome with the Accademia Nazionale di Santa Cecilia, conducted by Rafael Frühbeck de Burgos; and a concert with tenor and friend Joseph Calleja for the Haná Opera Festival in Prostějov, Czech Republic. Meachem made his Hollywood Bowl debut in 2014 as Silvio in I Pagliacci with Gustavo Dudamel. He has sung with the New York Philharmonic in Bach’s St. Matthew Passion under Kurt Masur; the St. Louis Symphony in Carmina Burana and Zemlinsky’s Lyric Symphony; the San Francisco Symphony in concert performances of Gilbert and Sullivan’s Iolanthe; the American Symphony Orchestra in the U.S. premiere of Ferdinand Hiller’s oratorio The Destruction of Jerusalem at Avery Fisher Hall; with the St. Louis, Pittsburgh, and Seattle Symphonies in performances of Carmina Burana; and with soprano Hei-Kyung Hong for a duet concert at Walt Disney Concert Hall. Born in North Carolina, Lucas Meachem studied music at the Eastman School of Music and Yale University before becoming an Adler fellow with the San Francisco Opera.